1. Castroneves basks in glow of first win: When Helio Castroneves saw the blinking yellow dashboard light, the perspiration level under his colorful helmet greatly diminished. Castroneves won the second Honda Grand Prix of St. Petersburg on April 2, the beneficiary of a late full-course caution period. He had inherited the lead on Lap 94 when Target Chip Ganassi Racing's Scott Dixon made his final pit stop, and was expecting a battle to the finish with Dixon and Tony Kanaan before contact between Tomas Scheckter and Buddy Rice brought out the caution. Now yellow might be his favorite color (aside from the black and white of a checkered flag, of course). "I only realized that I was in the lead when the yellow came out, which was three laps to go," the two-time Indianapolis 500 champion said. "When I realized that, I'm like, 'Thank God.' But even if the green was coming, I was ready for it." "My car was handling extremely well on cold tires. When I saw the white flag, I'm like, 'Is that what I think it is?' They said, 'Don't celebrate yet. We'll see what's going to happen." "I'm extremely happy about it. One year ago we didn't even complete 13 laps, only 12. Today we completed all the laps -- in front of everybody. If it was a mistake or not, which I still think not, I learned from last year and today it paid off." It was Castroneves' first exercise in climbing a fence since last June at Richmond International Raceway, and the first time since September 2003 that he has led the IndyCar Series standings. It is the best start to a season since Hornish won back-to-back races to open the 2001 season. Dixon was the runner-up and Kanaan, the 2004 IndyCar Series champion, was third. 2. Herta finishes fourth, again: Bryan Herta finished fourth again on the streets of St. Petersburg, but unlike 2005, where he won the pole and finished as part of a history-making 1-2-3-4 sweep for Andretti Green Racing, Herta had to work for his top-five finish. "We got shuffled back," the driver of the No. 7 XM Satellite Radio Honda-powered Dallara said. 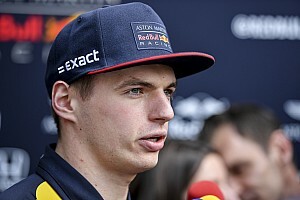 "We got caught behind a couple of slower cars at some crucial moments and that hurt us a little bit. But we battled back and got fourth place and a whole lot of points. It's something we can build on and get some momentum now." 3. Giaffone hopes to continue success: Felipe Giaffone posted his second consecutive top-10 performance for team owner and four-time Indianapolis 500 winner A.J. Foyt. 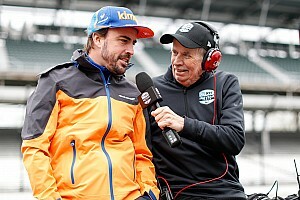 The early chemistry between Foyt and Giaffone has both feeling confident. "I knew it was going to be a hard weekend because it was my first road race in an IndyCar Series car, but I had a great time," Giaffone said. "I learned a lot, especially in the race. We were stronger from the middle out, and then A.J. (Foyt) made a good call on pit strategy to pick up two spots at the end." Giaffone has finished three consecutive races with Foyt dating back to the Indianapolis 500 last May. He said that consistency will make the team stronger. "We need to keep finishing races and we can keep improving our communication," he said. "I think we'll keep getting stronger and stronger." 4. Panther rebounds with top-five finish: With a smart and clean race, Panther Racing driver Vitor Meira recorded his first top-five finish with his new team. The fifth-place finish marked the best finish for Panther Racing since Chicagoland Speedway last season. "This is what Panther Racing is capable of with two months together; just imagine how good we are going to be with more time," Meira said. "We raced smart today. Some people were very aggressive, and it cost them. The Econova car was very solid, but we never pushed ourselves too hard or took any silly chances. This is just what the team needs heading into Japan and then Indianapolis." 5. Wheldon loses points lead: For the first time in nearly a year, Dan Wheldon does not hold the lead in the IndyCar Series point standings. Wheldon finished 16th in the Honda Grand Prix of St. Petersburg after contact with Sam Hornish Jr., and fell to third in the points standings. He had held the points lead since the Indy Japan 300 on April 30, 2005 -- a span of 11 months and two days. 1: Date in April 2007 for the third annual Honda Grand Prix of St. Petersburg. 2: Table for two? Seen lunching together were rock icon Gene Simmons and Patrick Dempsey, star of the hit ABC show "Grey's Anatomy." Said Dempsey, co-owner of the Nos. 2 and 20 Vision Racing cars: "I'm having a great time. This event particularly is very relaxed and really enjoyable. It's good to see all the different drivers I've been friends with over the years. Now to be here as a co-owner with a vested interest is a great thing." 4: Different winners of the four IndyCar Series non-oval events (Helio Castroneves, Scott Dixon, Tony Kanaan and Dan Wheldon). 5: Different race leaders from eight lead changes. Also, five different winners in the past five races. 6: Different teams represented among the top seven finishers. 8: Positions moved up by Danica Patrick, who finished sixth. Vitor Meira moved up seven spots. 17: Cheever Racing's Nick Bussell has been running at the finish in 17 consecutive Indy Pro Series races, establishing a series record. 20: Jeff Simmons has started 20 consecutive Indy Pro Series races dating to Chicagoland in 2004. In his three races this year, he has finished first, second and fourth. 42: Yachts -- none shorter than 40 feet -- docked at the Acura Yacht Club for the weekend. 50: Of Penske Racing's 125 victories since 1969, 50 have been on street or permanent road courses. 7. Castroneves reaps post-race rewards: Helio Castroneves reaped the benefits from winning the Honda Grand Prix of St. Petersburg. As the race winner, Castroneves was presented with a Canon EOS Digital Rebel XT Camera and an engraved Aquaracer Automatic timepiece from TAG Heuer, the official timekeeper and watch of the Indy Racing League. TAG Heuer presents an engraved Aquaracer Automatic timepiece to the winner of each IndyCar Series event. The Aquaracer concept is founded on providing the accuracy that all water sports demand. Based on the design and features of the timeless 2000 series, launched in 1982, TAG Heuer's watchmakers and designers have created an original, prestigious sports watch that is water-resistant to 300 meters. Castroneves also collected the Firestone Performance Award and its $10,000 prize for leading Lap 68 (mile 122) of the race. Dario Franchitti claimed $10,000 for winning the Marlboro Pole Award. 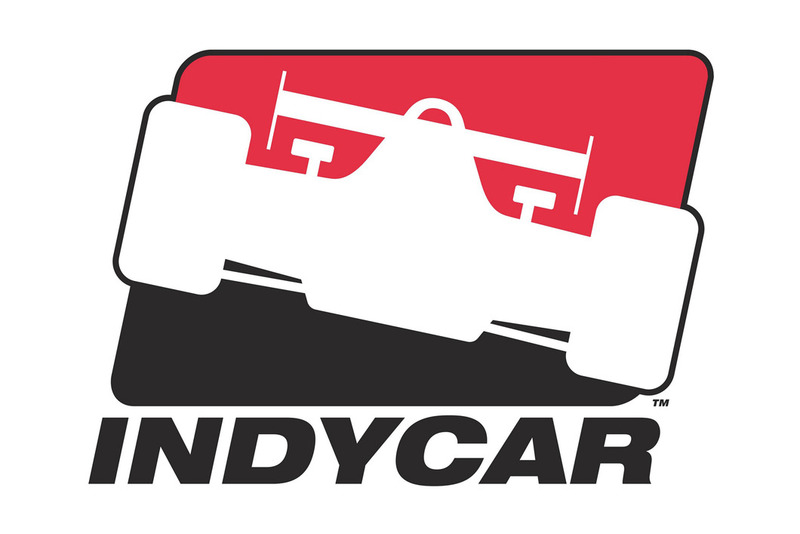 The 2006 IRL IndyCar Series continues with the Indy Japan 300 at midnight (EDT) on April 22 at Twin Ring Motegi. ESPN2 will telecast the race at Noon (EDT) on April 22. The race will be broadcast live on the IMS Radio Network. The IMS Radio Network broadcast is also carried on XM Satellite Radio channel 145 "IndyCar Series Racing" and www.indycar.com. The fifth season of Indy Pro Series competition continues with the Freedom 100 Friday, May 26 at the Indianapolis Motor Speedway. ESPN2's coverage of the Indy Pro Series Grand Prix of St. Petersburg will be telecast at 4 p.m. (EDT) on April 7.